Has the look of a sharp businessman, but the spirit of an athlete. The XF is quite simply one of Jaguar's most important models in their brand history. It is the sedan that helped usher a new era for Jaguar and put them back on the map once again. When the S-Type replacement was unveiled in 2007, the XF was met with high praise for being a unique, contemporary executive sedan that was a hoot to drive, and was able to put up a good fight with its Teutonic opposition. 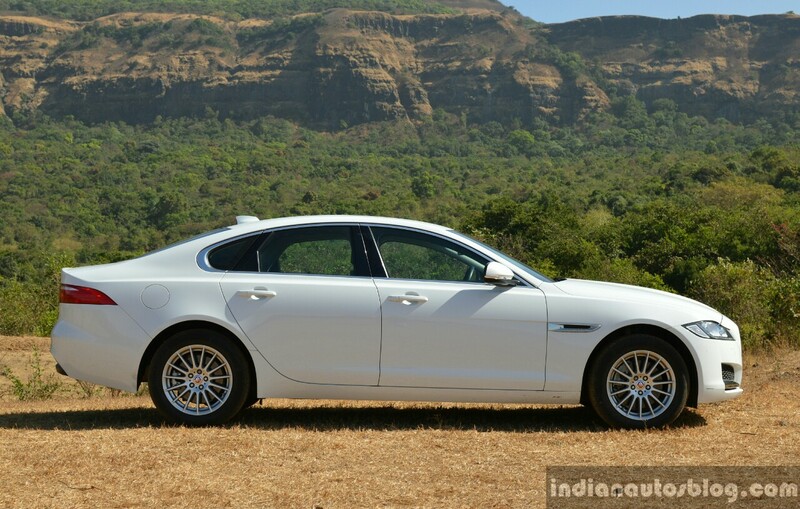 Along with the 2-door XK (now discontinued), the XF was the first Jaguar to launch in India back in 2009. As the years passed by, its rivals jumped to a more advanced generation with plusher creature comforts and bigger dimensions, and the XF started to lose its appeal. 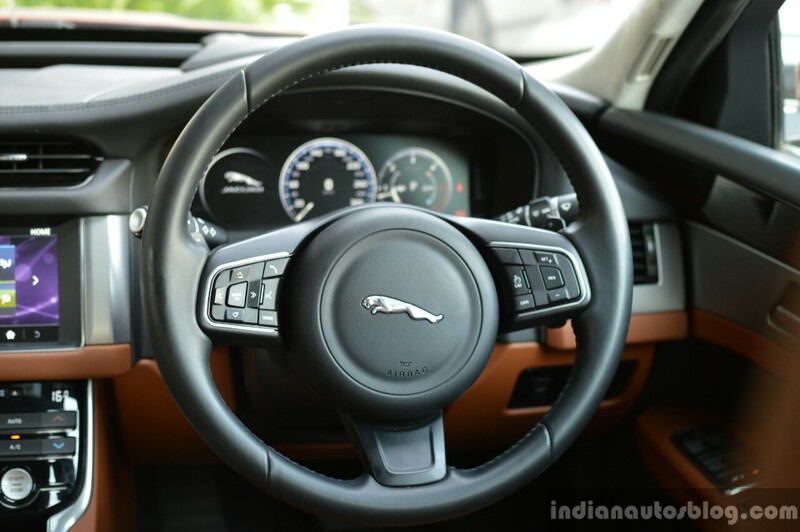 A comprehensive facelift in 2011 and its induction into Jaguar Land Rover's plant in Pune for local assembly helped spike sales, but it still couldn't lay a dent on the competition. 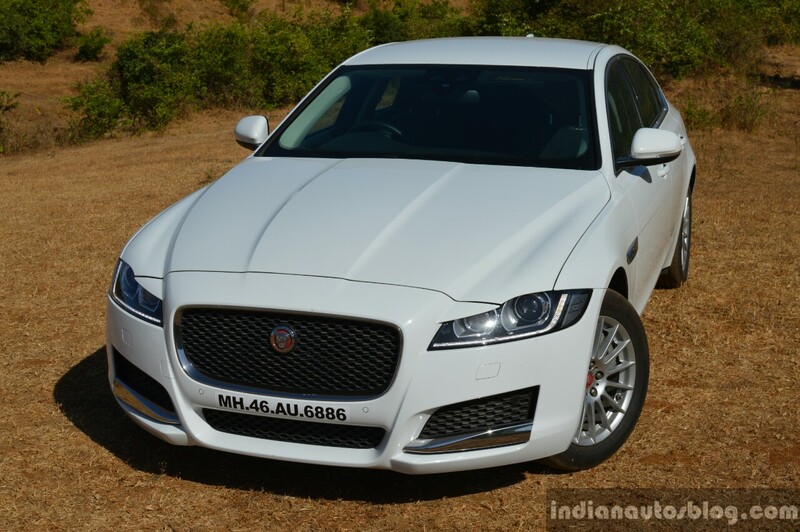 On March 25, 2015, Jaguar had unveiled the much-awaited sequel to the XF, which gave the local subsidiary a tactical advantage, since the Germans were prepping to launch the next generation versions of their respective sedans between 2017-2018 in India. 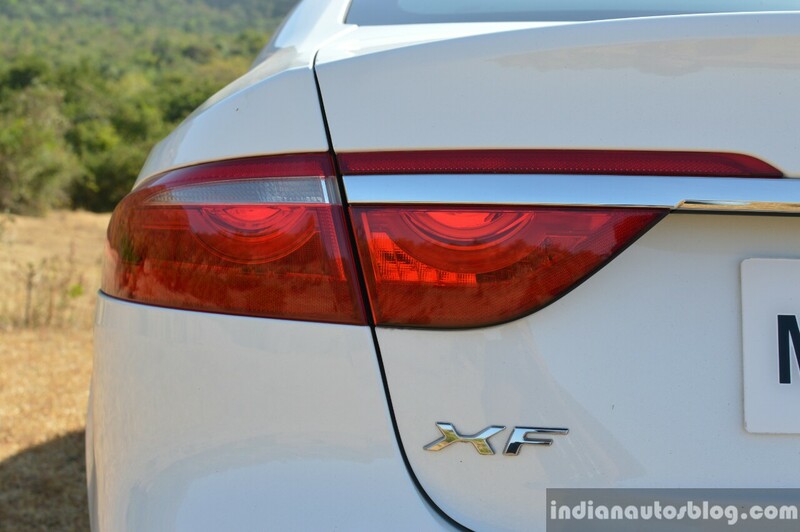 The second gen XF was launched in India over a year later as a CBU at a starting price of INR 49.5 Lakhs (ex-showroom Delhi), while local production commenced recently, helping shave off INR 2 Lakhs from the starting price. 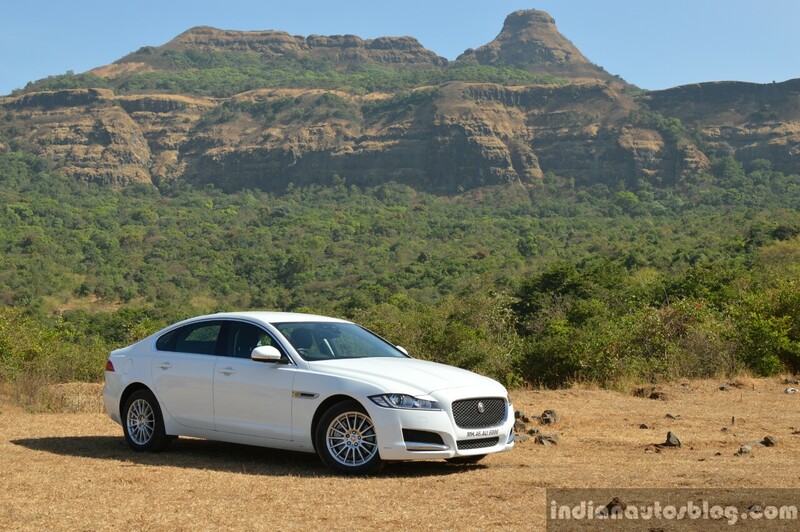 We managed to get our eager hands on the XF diesel variant, which debuted Jaguar's 2.0 Ingenium diesel engine in India. 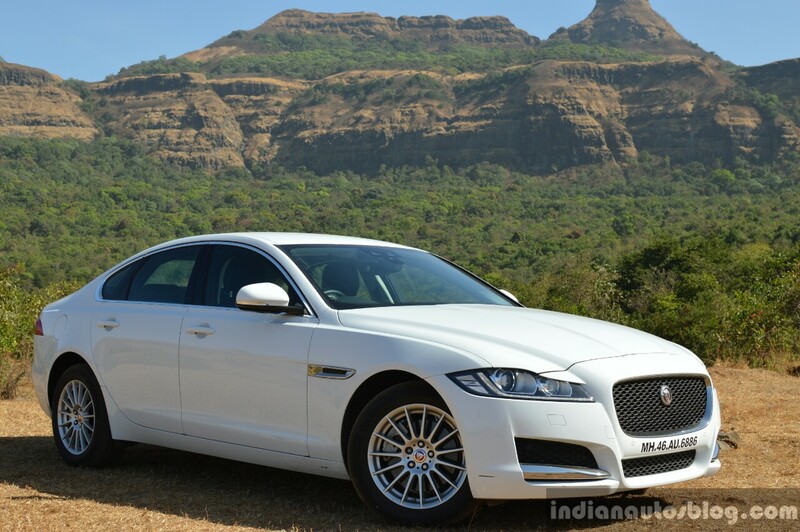 Here's our first drive review of the new Jaguar XF. To summarise the exterior, I would use the words 'classy' and 'desirable'. When I stopped by a restaurant for lunch, one of its German rivals in a top-spec trim had parked beside it. Yet, people, including me, continued to ogle at the Jaguar instead. Even when I brought another luxury car for review following the XF, the kids in my building were still enquiring about the Jag's absence on the parking lot. While the previous XF was a beautiful car (post facelift), it didn't have the necessary road presence. For the new one, Jaguar has refined some of the previous design's strong points and beefed it up by a notch, resulting in a familiar-yet-handsome exterior design that still turns heads. The exterior incorporates F-Type-sourced design elements, such as the side vent and LED taillight arrangement, as well as Jaguar's characteristic contoured hood, which looks pretty cool from the driver's seat. If I saw this speeding towards my IRVM, I wouldn't hesitate giving it way, as did many people during my time in the XF. 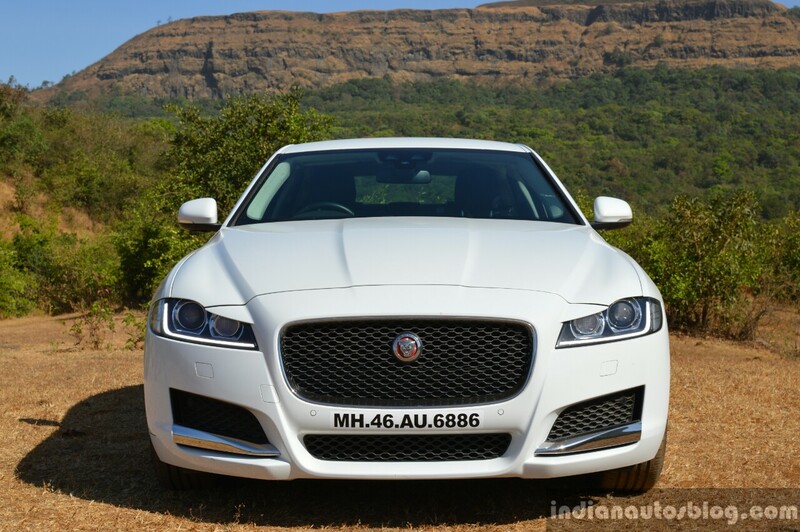 We wished Jaguar would've offered the R-Sport body kit option in India to further complement the XF's dynamic personality. From an overall perspective, the new XF sort of looks like an XE that's been pumping more weight at the gym and wearing a costlier designer suit. I wouldn't recommend the XF in its base Pure trim because of those small multi-spoke 17-inch rims. The top-end Portfolio gets better 18-inch alloy rims, chrome-finished grille mesh, LED-powered headlamps with washer, and a boot spoiler. 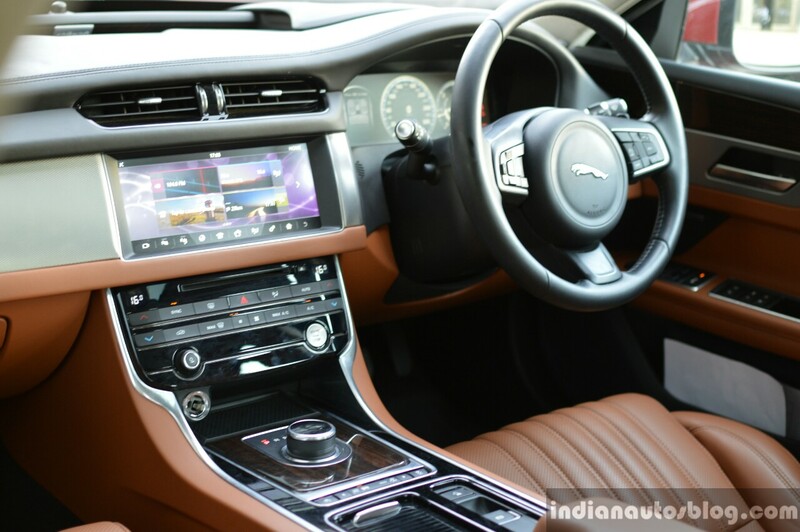 The interior design has minor similarities with its predecessor and features elements handpicked from other Jaguars as well as some unique touches of its own. 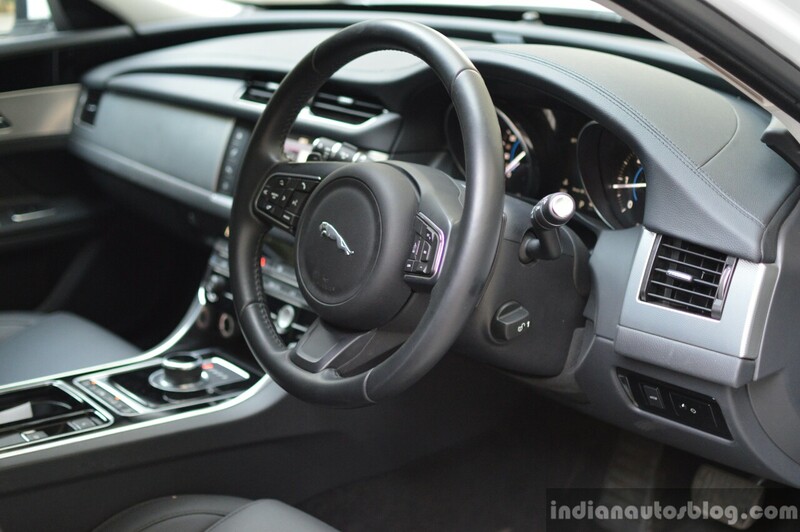 For instance, it has the yacht-inspired wrap around wood trim (gloss black in XF Pure) from the XJ, the steering wheel of the F-Type, and the center console of the XE and F-Pace. Some of the previous XF's unique theatrics are still present, such as the rising gear selector and auto closing HVAC vents, although this time the central vents are fixed. Sitting on the driver's seat for the first time, the XF feels like a car designed around its driver, rather than the rear occupant. The seat itself is supple, well-bolstered, and can be adjusted in 14 different ways (10 ways in base Pure grade), the leather steering wheel with paddle-shifters feels great to hold, and the gear selector rises just within your palm's reach. But - yes there's a 'but' after all this - the build quality and choice of materials leave something to be desired, especially if you're acquainted with the cabins of its current rivals. Some of the plastics in places you wouldn't normally run your hand with feel hard and scratchy, and the buttons on the steering wheel don't have that tactile feel I normally would expect for a car in this price category. A sore point of the previous XF was the space available for rear occupants, despite it being nearly 5 meters long (4,961 mm to be precise). The new XF is 7 mm shorter in length, but wheelbase has been increased by a significant 51 mm, liberating enough knee room for a comfortable experience. This is a welcome change, given that most buyers of such cars have chauffeurs to drive them. Like the front seats, the rear bench is also comfy and supportive, although it has only enough space for two occupants. A third one in the middle might be a bit of a squeeze. As we're reviewing an INR 50+ Lakh luxury executive sedan, we can't miss talking about the equipment onboard. Our XF test car was based on the entry-level Pure variant which comes with a decent feature list, although a rear parking camera is a glaring omission, given the size of this thing. The standard 7-inch InControl touchscreen system with navigation is not one of the best touchscreen systems to interact with, due to choppy graphics and a low res display. Tech-savvy buyers should upgrade to the Portfolio grade, which gets them the 10.2-inch InControl Touch Pro system that is much smoother, more eye-pleasing, and more interactive than the standard system. The Portfolio grade also comes equipped with an 825W Meridian surround sound system, keyless entry, heads up display, driver's instrument display, 360 degree camera with Park Assist, CD player, sunroof and ambient lighting. 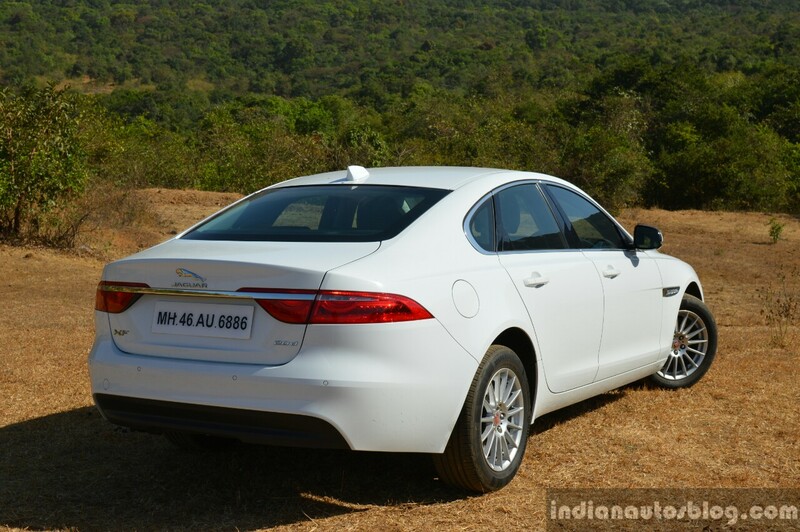 The 2nd gen XF debuted Jaguar's new 2.0L Ingenium turbo-diesel engine in India, replacing the Ford-sourced 2.2L 4-cyl unit that's been powering Jaguars and Land Rovers for a while. The Ingenium unit produces 180 hp at 4,000 rpm and 430 Nm of peak torque between 1,750-2,500 rpm, which is sent to the rear wheels via an 8-speed automatic gearbox. Steering, transmission, and engine response can be adjusted using the standard Jaguar Drive Control, offering modes such as Normal, Dynamic, Eco, and Rain/Ice/Snow. Compared to the older 2.2L 4-cyl turbodiesel engine in the previous XF, the 2.0L Ingenium feels more refined and exhibits lower NVH levels. The diesel engine gets really vocal when you race towards the higher-end of the rpm band, but not in a crass, diesel-esque manner. At least we're happy that the engine note is accompanied with some exciting thrust, especially in 'Sports' mode. The XF diesel likes to get a move on, easily reaching triple digit speeds without breaking a sweat. It is claimed to accelerate from 0-100 km/h in 8.1 seconds, before hitting a limited top-speed of 229 km/h. It slightly doesn't feel as eager as BMW's 2.0L turbodiesel unit in the 520d, yet that's only a bother if you've driven them back to back. 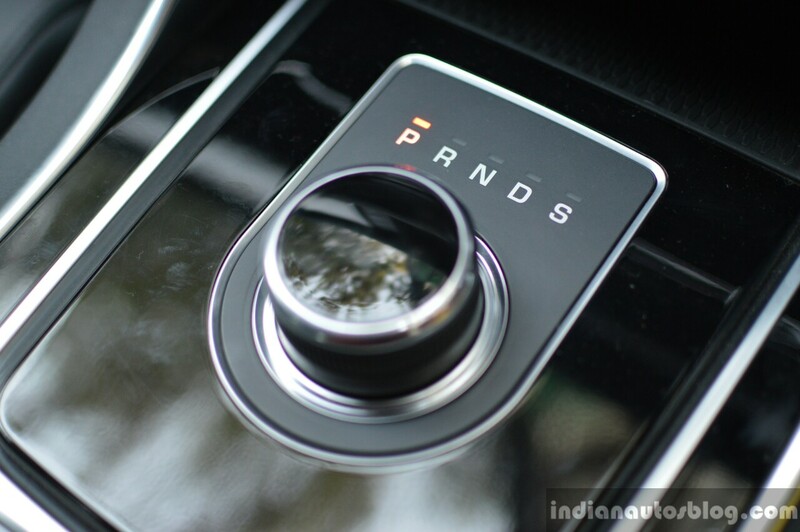 For a torque converter, the 8-speed unit in the XF does a swell job, regardless of the driving mode selected, It smoothly transitions between gears in Normal mode, although downshifts takes a bit longer than necessary. In Sports mode with paddle shifters, the gears are served up quickly upon the pull of a paddle. The new XF is based on Jaguar's all new iQ aluminum-intensive platform, which has helped shave 190 kg off the previous car's kerb weight. Its suspension system comprises of a sportier double wishbone setup at the front and an integral link system at the rear. Both the weight saving and suspension system have made the new XF more nimble and fun around twisty roads, with the standard Continental ContiPremium tires offering adequate grip to stay within the line. From behind the wheel, the XF exhibits minimal body roll and doesn't feel like a fat kid running around, keeping your confidence intact. The delightful electric steering wheel has just the right amount of feel at high speeds, and loosens up for feather-light turns while parking or maneuvering around traffic. As for ride quality, there is a tinge of firmness to the suspension system, but still comes across as a pliant setup. It dampens most jerks from regular potholes and road ditches, while the nasty ones generate loud thuds. Although the new XF looks a bit too familiar, it's still one of most desirable exterior designs in the segment, comes with a driver-centric cabin that has comfy seats as well as more kneeroom/headroom for rear occupants than ever before, offers a potent lineup of 4-cyl petrol and diesel engines, and feels more dynamic around twisties than the competition. Thanks to local assembly, it's INR 2 Lakhs less expensive than before, with prices now ranging between INR 47.5 Lakhs - INR 60.5 Lakhs (ex-showroom Delhi). However, in a market where a typical executive sedan buyer usually has a flexible budget, and prefers outright comfort and luxury over anything else, the XF may not be able to stand out from its rivals, which include the Volvo S90, new Mercedes E Class LWB, Audi A6 Matrix and the next-gen BMW 5 Series (G30). The XF meets the typical expectations one would have for such a segment of cars, but its rivals have raised the bar in areas that would attract the typical executive sedan owner. In the end, the new Jaguar XF is one of those luxury sedans that appeals to a buyer looking for something different and is a driving enthusiast at heart; it knows how to tug at your heart strings, but your mind would start debating otherwise.